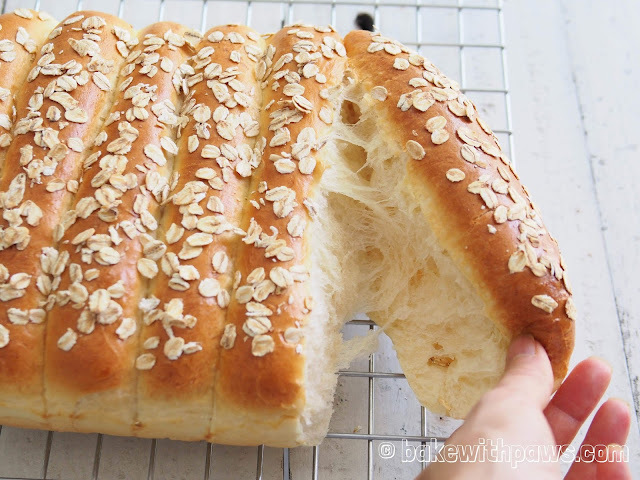 I felt like having some a plain and soft bread and this is recipe that is easy to eat and good on its own without any need for butter or jam. 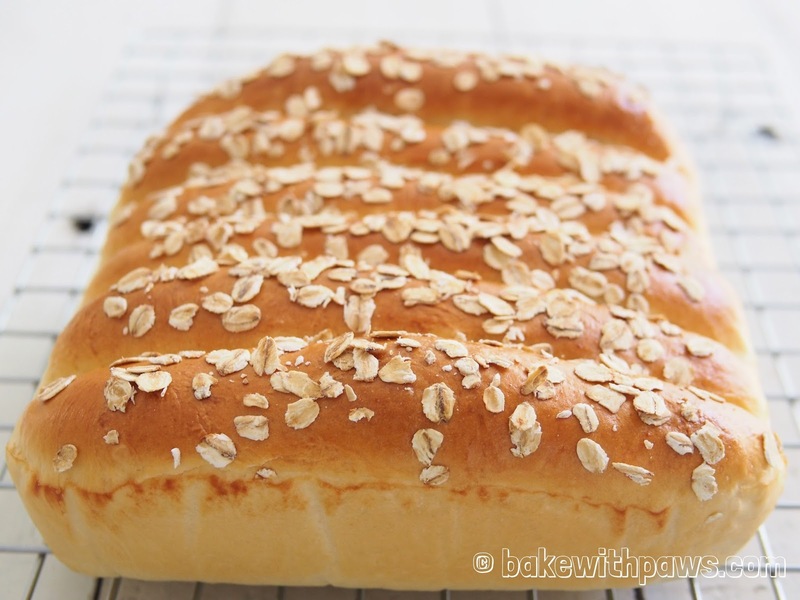 The flavour of milk, butter and egg infused into the bun gives it all the flavour it needs. Put all ingredients (start with salt, flour, yeast, sugar, milk powder, butter, egg, water, and sponge dough) into the bowl of stand mixer. Using the dough hook on a stand mixer, knead until the dough comes together and is beginning to become elastic and tacky but not sticky. Tacky dough behaves sort of like a Post-it note, sticking to a surface but peeling off easily. It takes around 15 minutes. If the dough is too dry, add 1 tablespoon of water at a time. Punch down the dough to release the air. 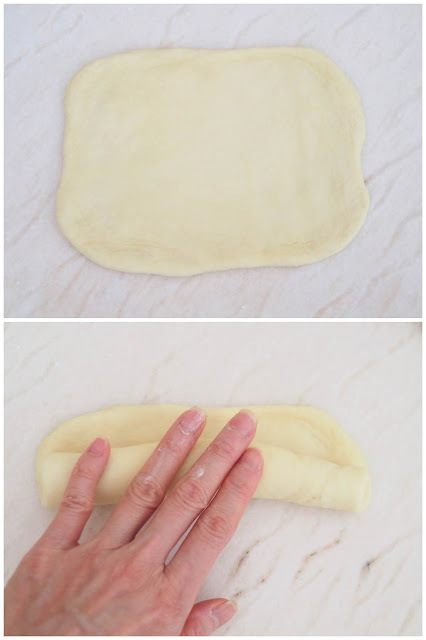 Transfer the dough to a clean floured surface then divide into 6 equal portions. 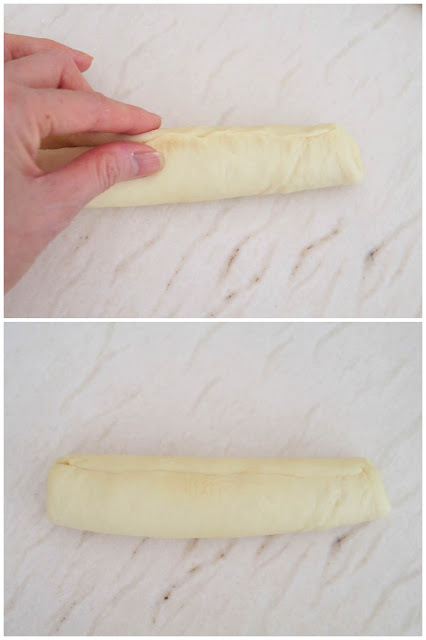 Roll out each dough with a rolling pin into rectangle shape. Roll up the dough like a Swiss roll until a long log is formed. 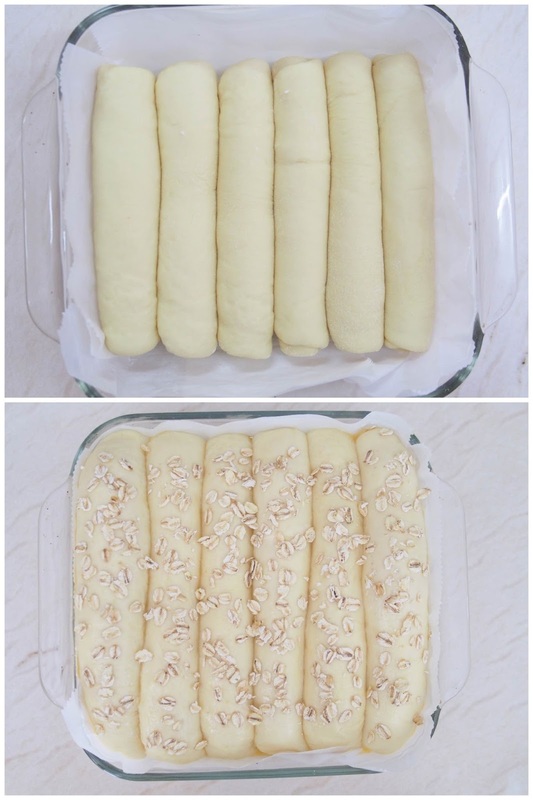 Place all dough in prepared baking pan. Brush with egg wash and sprinkle with rolled oats. Bake for 30 minutes, or until golden brown. Do you think it's possible to replace the water with milk for the main dough? So that it 2ill taste more milky. Or will the texture be affected? Hi there, I am so sorry for late response as I have overlooked on all the comments. Yes, you may replace milk.